Furthermore, we wish to emphasize that in future in all cities, markets and in the country, the only ingredients used for the brewing of beer must be Barley, Hops and Water. Since the 16th century, we have known beer to consist of three core ingredients: grains, hops and water where all styles of beer are derived from variations on the ratios between these three components and the processes by which they are brewed and fermented. 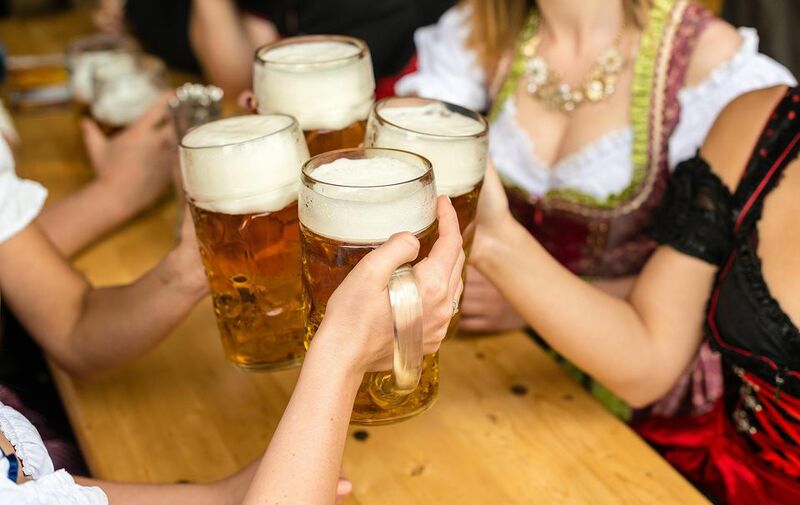 And on April 23rd, 1516, with the limitation of 'grains' to mean barley grain, this definition of beer was formalized by the Bavarian Duke Wilhelm IV in Ingolstadt in a decree enacted by the Assembly of Estates that would became known as the Reinheitsgebot, or the German Purity Law. This is until the contribution of yeast to the process of fermentation in beer was discovered in the late 1860s by Louis Pasteur that the formal definition of beer was known to consist of four core ingredients: grains, hops, water and yeast. The effect of the German Purity Law was that all German brewers were from that point on prohibited from utilizing grains such as wheat and rye which were more suited to baking bread than barley. So while the German Purity Law protected beer against the addition of cheaper or inferior adjuncts and unsafe preservatives other than hops that would compromise the quality of German beer, the law had also been enacted as a protection against the competition of German brewers for food grains that would otherwise be used for the production of bread. There was also a protectionist flavor to the Purity Law where many foreign beers did not meet the standards set by the legislation so were banned from import. Another unfortunate consequence of the Reinheitsgebot was that many local fruit or spiced beers were also rendered illegal, forcing brewers to conform to the Bavarian lager style. In the 19th century a division between the northern German and the southern Bavarian versions of the Reinheitsgebot developed. In 1873 the use of substitutes for malted barley became legally permitted by German Imperial Law. This meant that malt substitutes such as rice (common in many modern commercial lagers), potato starch, added sugars and other starches became taxable and permissible potential ingredients for northern German brewers. The Bavarian adaptation of the Purity Law was a stricter in interpretation though and as Bavaria was in the process of joining the Weimar Republic in 1919 after World War I, a condition of their incorporation was that the Purity Law would remain intact as it had been previously. So perhaps it is ironic that Weissbier (a style of beer brewed with wheat in addition to malted barley) was brewed in Bavaria, though not without a considerable fee. The Bavarian ruling party were fond of the style and authorized a single brewery to produce the style for which Bavaria is now best known. So perhaps it is ironic that Weissbier (a style of beer brewed with wheat in addition to malted barley) was brewed in Bavaria, though not without a considerable fee. The Bavarian ruling party were fond of the style and authorized a single brewery to produce the style for which Bavaria is now best known. Reinheitsgebot stayed in effect in its various forms until 1987 when European Union courts accused the law of amounting to objectionable free trade restrictions. After having been repealed by the European Courts, the Reinheitsgebot was replaced with the more lenient Provisional German Beer Law (link in German) in 1993. But even with restrictions to cereal grains lifted and the freedom to incorporate other ingredients to their beers, amidst a declining market, many German brewers have chosen to remain under the Reinheitsgebot, a large number of which still advertise adherence to the Purity Law ("Gebraut nach dem Reinheitsgebot") for marketing purposes as a sign of quality.